Yes, that corner is as much a PITA as it looks. I've driven it in games and it's tougher than the Corkscrew. 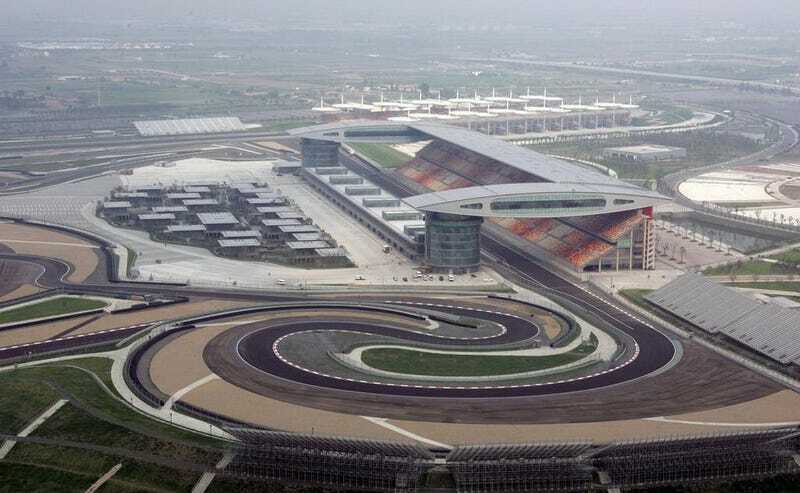 *UPDATE* lawsohard got it, it's Shanghai International Circuit.